The Monster skid steer tires demonstrate strength and stability even in the roughest terrain. These tires feature specialty designed sidewall holes that facilitate sidewall deflection and ride comfort. Sidewall holes dissipate heat faster for cooler running tires. 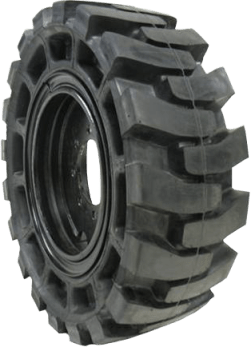 Monster tires outwear and outperform urethane filled tires, eliminating downtime.